On 28 January 1979 a team of students from Bradford University triumphed against Lancaster University in the final of University Challenge, 215 points to 160. University Challenge is a notoriously difficult and fast-moving television quiz. Produced by Granada Television, the original programme was presented by Bamber Gascoigne and ran from 1962 to 1987. It was revived by the BBC in 1994 with presenter Jeremy Paxman (an honorary graduate of Bradford University) and is still running today. Contestants are usually university students although there have been series which used different formats. The Bradford University team of 1979 boasted three postgraduate computer science students (John Watt, Mike Bradford, John Simkin). The other team members were Maxwell Cooter, an Interdisciplinary Human Studies student, and a reserve, Martin Lee, a postgraduate in Social Sciences. The dominance of computer scientists apparently “amused and bemused” Bradford’s opponents, though in fact the three were studying conversion courses. Along with their colleagues, they had excellent general knowledge spanning key subjects such as classical music, literature, sport and art. The team actually criticised the University Challenge format, which they felt “tested school rather than at university learning” and called for “fast recall of fairly shallow or even trivial knowledge, rather than the analysis or coherent pattern which University education should develop.” They emphasised that it was no measure of intellectual ability, and might even mislead the public about the nature of students and university life. The University of Bradford’s Corp Comms managed to track down three members of the team for a 2002 series celebrating forty years of the programme: University Challenge Reunited. Bradford, Simkin and Cooter were joined by the reserve, Martin Lee. The team lost narrowly to their 1979 final opponents, Lancaster, but enjoyed the experience. John Watt saw the event on television and got in touch later on. A Bradford University team who took part in the 2003/04 season were less successful, scoring a mere 35 points in their first-round match on 15 December 2003 against Queen’s University Belfast, who scored 280. Notes and queries. There is some confusion around the years of wins, partly caused by inconsistencies in listing styles by the programme makers. Bradford’s win is often attributed to 1980, as can be seen in the 2002 image above. Mr Cooter’s first name is “Steve” in the News Sheet article, but “Maxwell” elsewhere. Sources. Quotations from News Sheet March 1979 p.3-4 and 21 and News and Views May 2002 p.7. (also online, the 2002 press release seeking the 1979 team). I have also found many other sources useful, including the BBC site and sites by enthusiasts Blanchflower (useful on statistics and the issue of the varying years of wins) and UK gameshows. 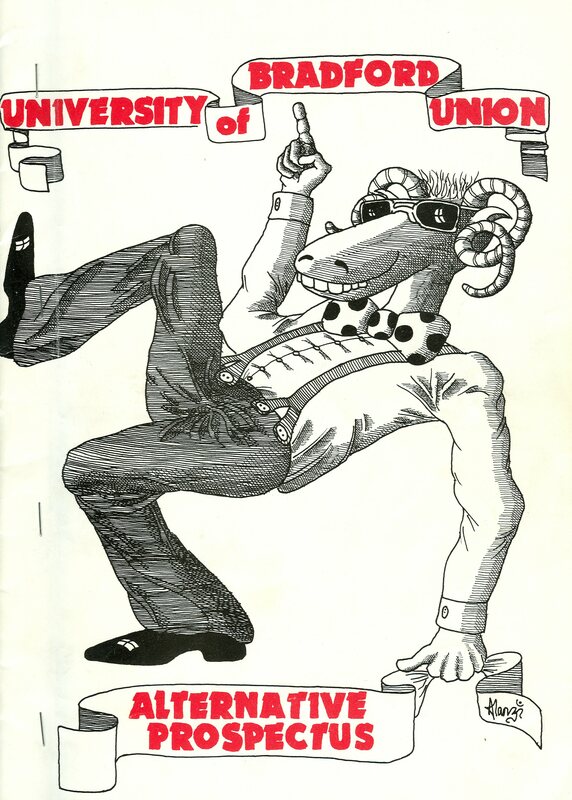 Now for a students’-eye view of student life: an Alternative Prospectus produced by the University of Bradford Students’ Union in 1983. 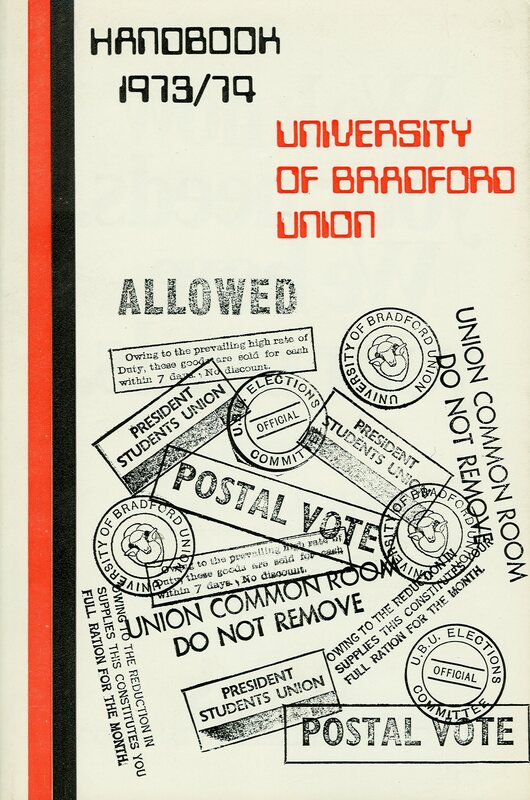 This “wonderful little tome” or “colourful piece of literary gold” supplemented the official undergraduate prospectuses with a light-hearted overview of the reality of student life. For anyone who studied at any UK university during the 1980s it is a trip down memory lane. 2) Making the most of what the city, the University and the Students’ Union could offer e.g. Bradford “has something to offer everyone, whether it be a reggae club, a curry at 3 o’clock in the morning, ten pints of Theakston’s Old Peculiar, a touring Theatre Company, professional rugby league, a five mile trek across the moors, or a performance of the Messiah at Christmas!”. 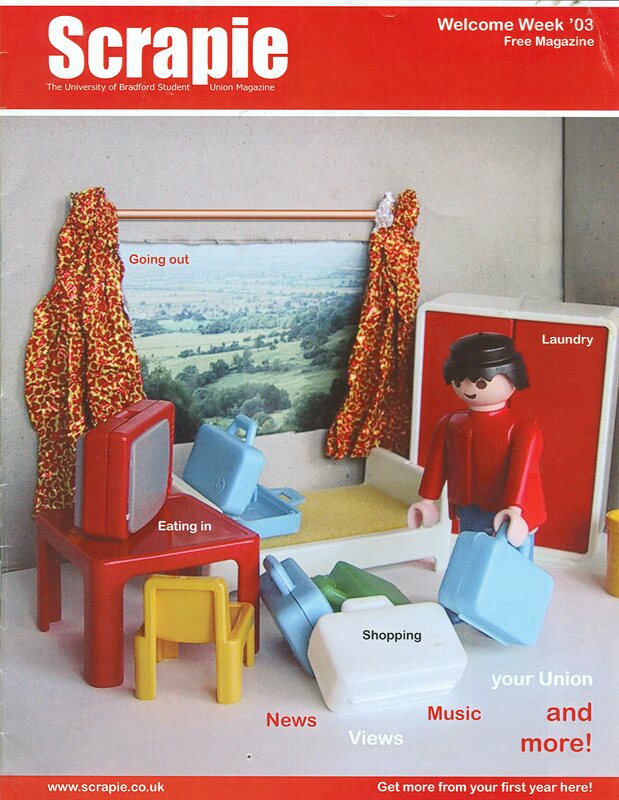 This week, Bradford: the day after – a booklet produced by Bradford’s Council in 1984 to show what a “one megaton nuclear bomb would do to the Bradford Metropolitan District”. As this map shows, such a bomb would destroy most of the city and its impact would be felt way beyond its boundaries. The booklet also includes information about likely casualties, impact on food supplies, civil defence plans, and other key concerns. The Council had declared itself to be a nuclear-free zone in October 1981, which meant that it resisted the deployment of nuclear weapons and the transport of weapons or nuclear waste within the city’s boundaries. Special Collections has the papers of Councillor Colin Hunter, who played an important role in setting up the Zone, and of the Peace Action Group, which he chaired. Bradford: the day after is not novel: many councils or activist groups produced similar maps and information, following the example of Leeds and the Bomb (1983). However, Councillor Hunter believed Bradford’s booklet to be “unique among publications by local councils in that it has been agreed by all parties” i.e. political parties on the Council. This was crucial, giving the booklet much more weight. All parties could endorse the booklet because it “bends over backwards to be objective”, laying out the facts and encouraging readers to think about the issues for themselves. Colin Hunter’s archive includes drafts and letters illustrating the complex process of writing the booklet and getting it approved by all concerned. Nuclear-free status for Bradford was withdrawn in 1983 by a hung council, re-established in 1985, and removed again in 1988 when the Council became Conservative controlled. Sources: the quotations from Colin Hunter are in a letter in Cwl CH 2/2 dated 2 February 1984: this section of his archive also contains drafts, minutes etc relating to the creation of the booklet. Special Collections includes many more archives covering the debates around these issues during the early 1980s. The full Leeds and the Bomb document has been put online by blogger Matt Povey, whose post illustrates the impact such leaflets had on young people. 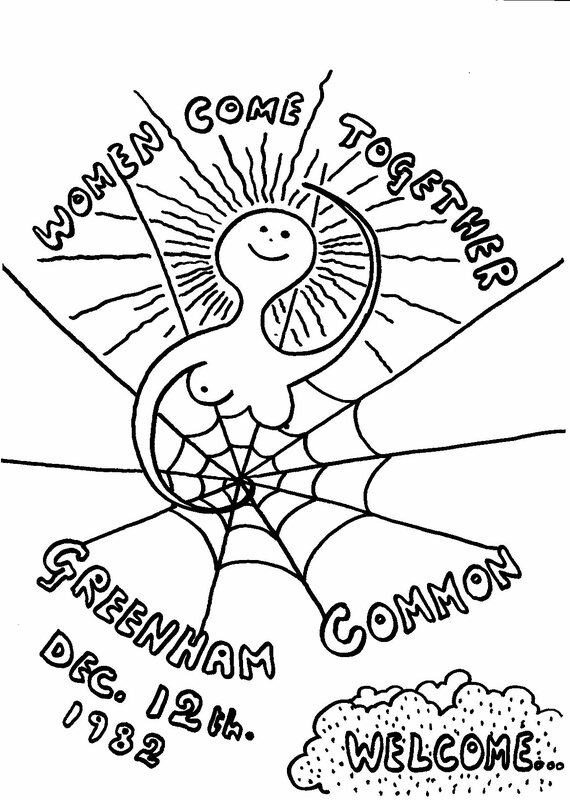 From 1981, the Greenham Common Women’s Peace Camp mounted a sustained campaign of non-violent direct action against the first cruise missile site in Britain. Sarah Meyer, a peace activist who spent time at the camp from late 1982 onwards, gathered an archive full of colour, striking images, songs and radical ideas. 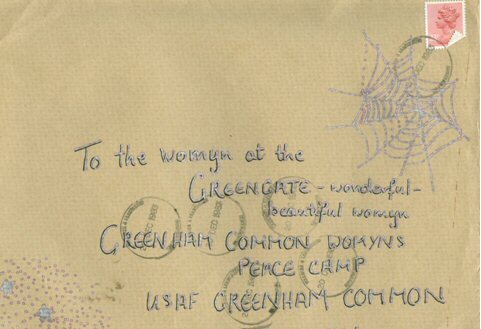 Leaflets, newsletters, personal letters and photographs were threaded through with symbols of personal and political identity, including witches, dragons, snakes and spiders’ webs, and written in a language which tried to challenge and undermine preconceived ideas about women: witness spelling of “womyn” on the envelope in the picture. 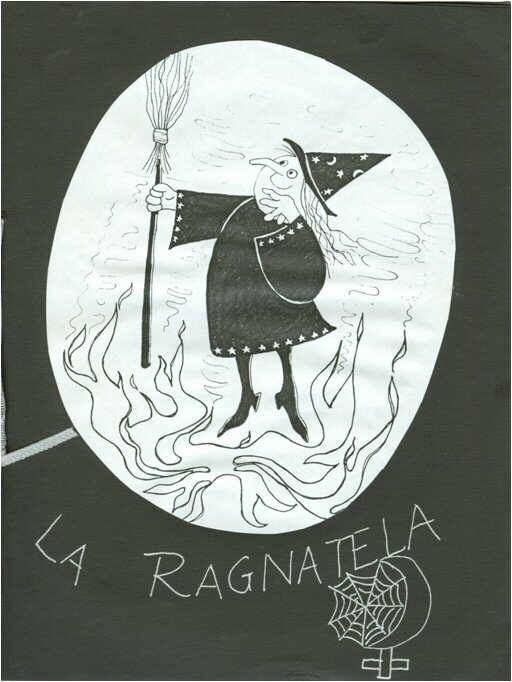 The archive gives a real flavour of the experience of campaigners, not only at Greenham: Sarah Meyer was involved with groups across the South West of England and in Europe. Find out more about her on the web page for her archive. Sarah Meyer’s archive was catalogued as part of the PaxCat Project (funded by the National Cataloguing Grants Scheme). Most of the above text was written by the Project Archivist, Helen Roberts, who did a wonderful job unpicking and reflecting on the complex histories of our many peace-related archives.